Welcome to Ace of Spades Landscapes, Lanarkshire we can offer advice on how to transform your garden and help you enhance the value of your home. Artificial turf has developed significantly over recent years and we can now offer you a high quality range of options at affordable prices. A beautiful green lawn is the centrepiece of any well kept garden. 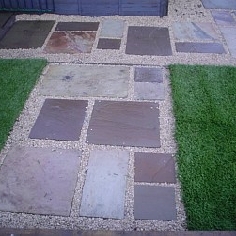 We can provide a wide range of high quality natural stone or manufactured paving slabs to suit your garden and budget. you to enjoy your garden all year round for relaxing and entertaining. Your new fence or gate will provide you with the additional security, privacy and shelter you need and also completely transform the look of your garden. tailored landscape solutions at really competitive prices without compromising on quality. to give Trevor a call on 07949262866 or use the Contact form to request a free, no obligation quote.  Please feel free to browse through the various sections of our website to see some examples of our work. 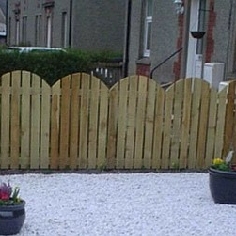 Ace of Spades Landscapes, Lanarkshire's number one Landscape Gardeners. 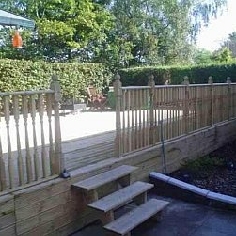 No garden to large or too small for landscaping, Ace of Spades Landscapes specialise in turfing, astro turf, garden decking, garden fencing, garden patios, garden paving, lawn care, weeding, felling, planting, shrubbery and garden maintenance using only the best quality materials which we endeavour to source locally. 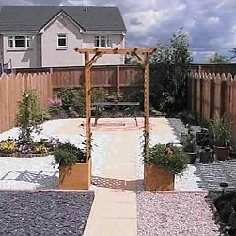 We have created fabulous looking gardens throughout Lanarkshire and Glasgow. Give Trevor a call on 07949262866 or use the Contact form to request a free no obligation quote. Your new fence or gate will provide you with additional security. Enjoy your garden all year round for relaxing and entertaining with our superior Decking. 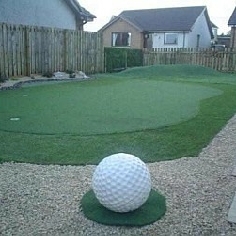 From your turfed Highrise Apartment to your own Putting Green . All types of landscaping or garden maintenance jobs will be considered. We can provide a wide range of high quality natural stone paving.